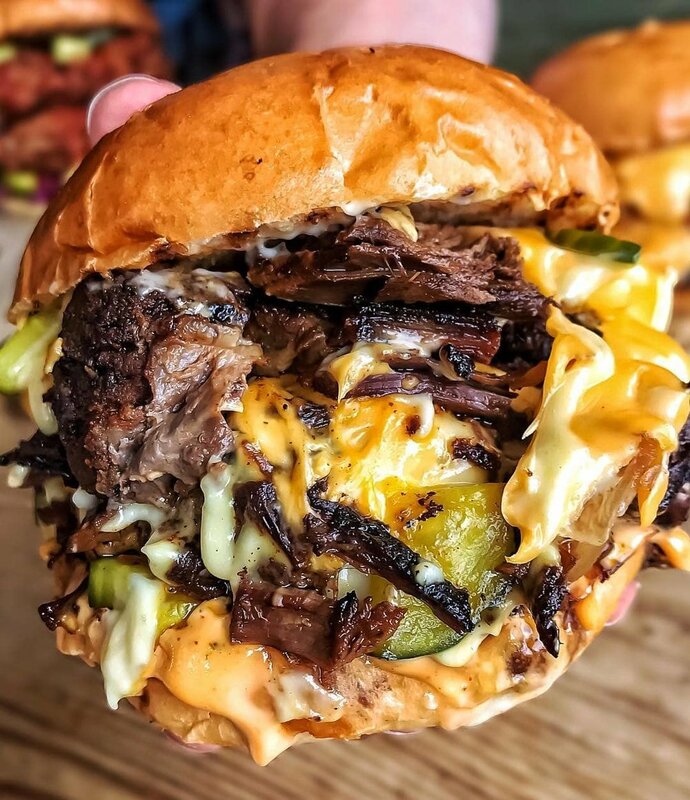 The Test Kitchen at The Merchant House is where we serve you our latest tasty creations before we take them on the street at events across the UK. Our signature street dishes? You ate them here first. We serve street food that tastes good, looks good, and does good. Every time you eat with us, you fund packets of life-saving food to children in need across the globe. So far, you’ve helped fund 119,ooo packets. Our signature dishes, which you‘ll find us slinging on the street. All of our brisket is 28-day aged British free-range beef braised for 8 hours in our house rub. All our free-range pork is slow-cooked for 6 hours and pressed for 24 hours. 4oz smashed beef patties using free-range, 28-day aged chuck mince. Crispy free-range chicken thighs double-coated in our house dust. Served in traditional Greek flatbreads. You‘ll find these loaded fries on menu rotation when we‘re out slinging on the street. All of our Seitan is certified organic. Sunday Roast Club returns after the summer!